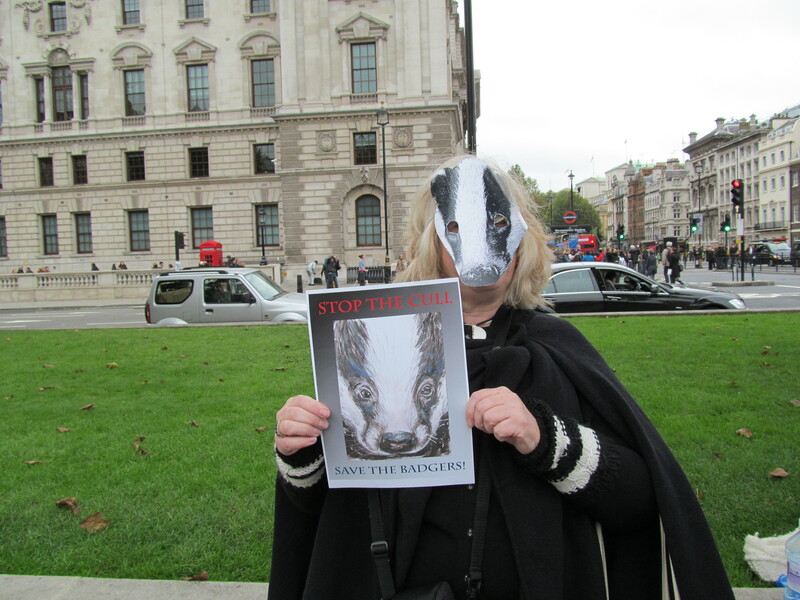 I went to the Love The Badger Dance which was a gentle protest against the cull in Parliament Square today. It was excellent. There was a group of fun and talented dancers leading the dance called Rhythyms of Resistance and some excellent accompanying music by Duncan Disorderly. Some brilliant outfits, facepaints and masks. Thanks To Laura Dalligan for letting me have one of her masks. It was all very friendly because we were all there for one purpose, united in our love for the badgers. Cars passed us and tooted and we waved back. People joined in the dance. It is great that we can do these things on London streets. Now we want a positive outcome from the Parliamentary debate on Thursday. Hopefully our Love The Badger Dance energy will permeate the Houses of Parliament so that they all feel the badger love and Stop The Cull. 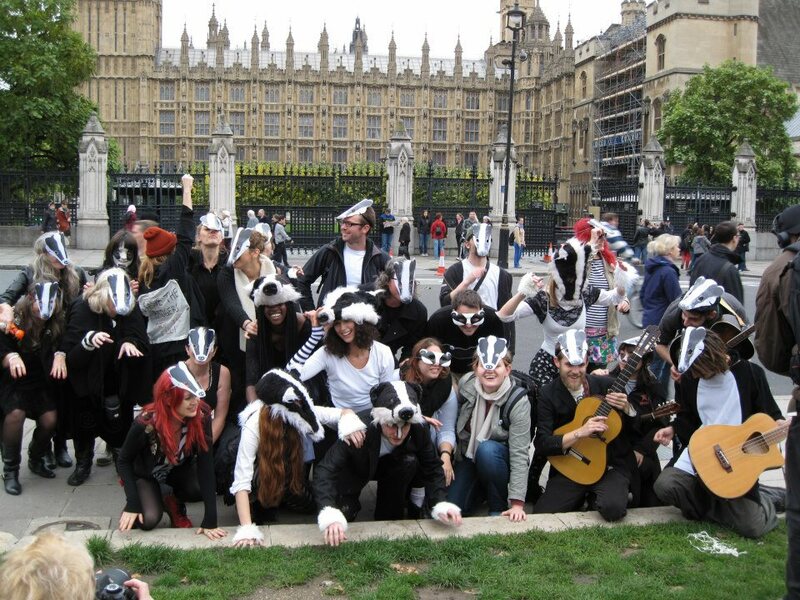 This entry was posted in Animal Work, Badger Cull, Uncategorized and tagged Badger, cull, Love The Badger Dance, mask, Parliament Square, Parliamentary Debate. Bookmark the permalink. Gaian Times – Eco-Magazine #11 (Beltane/Summer 2015) published! My pain for your gain. Sad Dolphin. Thinking of all sad dolphins in captivity for us. Sorry.